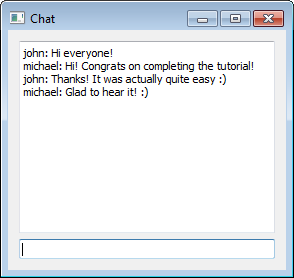 Create a simple chat client with Python. This Python Qt tutorial shows how to create a (working!) 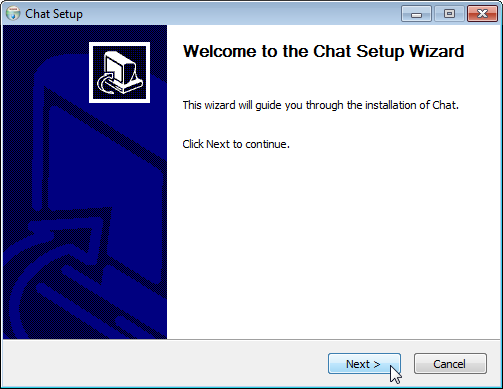 chat client for Windows, Mac or Linux. We will install Qt for Python, write the client and build an installer for it. Qt is a GUI framework. It is developed in C++. But in 2018, the Qt company released Qt for Python. This gives you the increased productivity of this dynamic language, while retaining most of the speed of C++. Before Qt for Python came out, most people used a library called PyQt. It is more mature, and very stable. Its drawback is that it requires you to purchase a license for commercial projects. This is unlike Qt for Python, which is licensed under the LGPL and can thus normally be used for free. From a code perspective, it does not make much of a difference which of the two bindings you use. Their APIs are almost exactly the same. We use Qt for Python here because it is newer. If you want to use PyQt instead, check out this PyQt5 tutorial. This creates a virtual environment in the virtualenv directory. It will store your project's dependencies. For the remainder of this tutorial, we will assume that the virtual environment is active. It's called PySide2 for historical reasons: PySide were the first official Python bindings, released in 2009 by then-owner of Qt Nokia. After Nokia sold Qt in 2011, development of PySide stalled. PySide2 was a community effort to maintain it. Finally, in 2016, the Qt company committed to officially supporting this project. 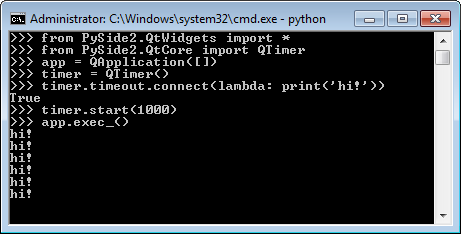 Now Qt processes key strokes, mouse events etc. until you close the little window that contains the text field. If the above worked as in the screenshot then congratulations! 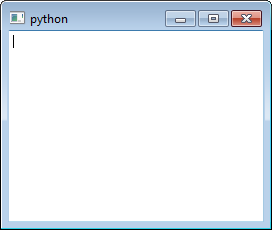 You just created a very simple GUI application with Qt for Python. But how do we tell Qt to place it below (and not, say, to the right of) the text area? The answer is through a layout. Layouts tell Qt how to position GUI elements. We again import PySide2 and create a QApplication. We proceed to build the layout: First a text area like the one we had before. Then a text field of type QLineEdit. Next, we create a window to contain our layout. We end by calling .show() on it and using app.exec_() to hand control over to Qt. QWidget, which we saw above, is the most basic GUI element in Qt. All other controls are specialisations of it: buttons, labels, windows, text fields, etc. Widgets are like HTML elements in that they encapsulate looks and behaviour, and can be nested. This should give you the last chat messages. When you then call server.get(chat_url).text again, you should see your message. When the user presses Enter, the current message should be sent to the server. Once per second, we want to fetch and display new messages from the server. The signal in the above code is timer.timeout. We used its .connect(...) method to specify a function that gets called when the signal occurs. In the example, we used the inline function lambda: print('hi!'). Our other call timer.start(1000) then ensured that Qt runs this function every 1,000 milliseconds. name = '' # Enter your name here! When you run the above code, you may notice that it feels somewhat slow. The reason for this is that Qt cannot process other user input while it is invoking our display_new_messages() function. Because this function takes a few hundred milliseconds to receive a response from the server, and because it is called every second, this means that the GUI is unresponsive most of the time. To fix this, we will add some parallel processing via threads. The idea is that Qt keeps handling user input in the so-called main thread while another thread fetches new messages from the server in the background. The necessary code is below. Simply paste it over the definition of the display_new_messages function above. The code starts a Thread that runs a new function, fetch_new_messages, in the background. This function uses an infinite while loop to load new messages from the server and to place them in a list of new_messages. The new implementation of display_new_messages then processes this list to display the messages in the GUI. There are several things to note about the above snippet: First, remember that also the new implementation of display_new_messages is connected to timer.timeout and thus gets called every second. Further, the call sleep(.5) prevents us from flooding the server with too many requests. But the most subtle point is this: Why didn't we just call text_area.append(...) inside of fetch_new_messages()? We could have avoided the complicated use of new_messages. The reason for this is that we now have two threads running in parallel: Qt's main thread (which executes when you call app.exec_()) and our thread above. At any moment, neither thread knows what the other one is currently doing. But consider: What if Qt happens to render the text area while the background thread is in the middle of calling text_area.append(...)? The answer is typically a crash. We therefore do not make changes to the GUI from background threads. On the other hand, because our display_new_messages() is invoked by Qt, and thus in the main thread, it can safely do it. Finally, the above relies on the fact that Python's list functions .append(...), .pop(...) etc. are atomic and thus thread-safe. We can now start the chat app with the command python main.py. But how do we run it on somebody else's computer? Especially if they don't have Python installed? What we want is a standalone executable that does not require Python (or anything else) to run. The process of creating such a binary is called freezing in Python. Special Python libraries such as PyInstaller let you freeze applications. Unfortunately, they only get you 80% of the way. Very often, you still have to manually add or remove DLLs or shared libraries. And they don't address basic tasks such as accessing data files, creating installers or automatic updates. This asks you a few questions. You can use Chat as the application name and your name as the author. 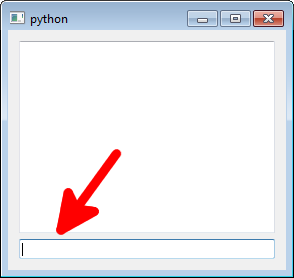 This freezes your Python code to the folder target/Chat. You can copy this directory to any other computer with the same OS as yours to run the Chat there. Isn't that awesome? If you have an existing application that you wish to convert to fbs, this article may help you. It is written for PyQt, but is equally applicable to Qt for Python / PySide. Another good source of information is fbs's tutorial. 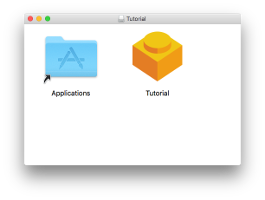 We saw above how Qt for Python can be used to create a simple desktop application. We used basic widgets such as QTextEdit and QLineEdit, as well as QVBoxLayout to arrange them. Qt's signals let us make this GUI dynamic: First by using a timer to fetch the latest messages from the server every 1,000ms. And second by letting us respond to the user pressing the Enter button to submit a message. Finally, we used fbs to easily create a standalone executable and an installer. Did you encounter any problems with this tutorial, or have any questions? Feel free to email me! 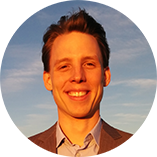 Michael has been working with Python and Qt since 2016, when he started fman, a cross-platform file manager. Frustrated with the many difficulties of creating Python / Qt apps, Michael open sourced fman's build system (fbs). It lets you create GUIs with Python and Qt in minutes instead of months!